Couples who are able to form divorce settlements put a lot of time and effort into achieving this compromise. Rarely is a settlement easy to negotiate, and each spouse typically has to give up something of value to the other in order to find a point of agreement. Like all agreements, the terms included within it must be based on the knowledge each spouse has of their situation at the time. 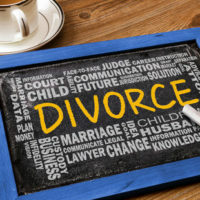 In many ways, divorce forces spouses to predict how their life will be years into the future in order to decide issues like child custody, alimony, and property division. However, life does not stand still, and terms in the settlement that work when the divorce was first finalized may not work when circumstances change. When the arrangement for child support, alimony, or custody is no longer viable under the provisions in the original agreement, what are the options for the former spouses to change or modify the settlement so that it fits within the new circumstances of their lives? The law realizes that no one lives in a vacuum and that when circumstances change, the orders related to divorce may need to be revised. However, this does not mean any reason for a modification will be accepted, and a discussion of the standard the law requires before a modification may be granted, as well as the circumstances that typically justify such a shift, will follow below. Once a child support order is issued, either party may petition to change the amount that must be paid. This request will only be granted if the party asking for the modification can show a material and substantial change in circumstances. This generally requires a substantial increase or decrease in income for either parent, usually due to job loss, promotion, illness, or injury. It could also be based on a significant change in the needs of the child, such as the onset of a disability or the need for private education. Similar to child support, modifications to standing alimony orders are permitted if a party can show ongoing and substantial financial changes. Thus, like above, unemployment, a pay increase, a debilitating illness, or natural disaster could all potentially convince a court that modification is necessary to accomplish the purpose of the spousal support without putting an undue burden on the payor or giving the recipient more than he/she needs for support. The child is not adjusting and/or functioning well under the current structure. Things change in life all the time, and if you need to make changes to your divorce settlement to reflect those differences, talk to a Pennsylvania family law attorney. The attorneys at Barbara Flum Stein & Associates understand the strains major changes can cause, and are here to give you the guidance you need to find a workable solution. Contact the Delaware County divorce law firm today for a consultation.